Reading and Writing. The benefits and inspiration related to reading. You don’t have to look far to find research based evidence about the benefits of reading, and as a school we do of course agree – it’s one of the mainstays of the entire education system. But there is so much more to it than that. The act of reading has changed with the times, and there will always be an argument for and against the digital ease of an electronic device versus the comforting weight and feel of a book in your hand. 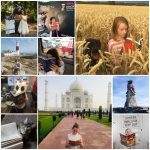 But whether you swipe screens or turn pages, the practice of reading is as popular as ever, and our girls and staff love it. 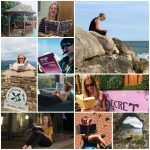 This is evident by the popularity of our #getcaughtreading campaign during holiday periods when girls and staff send photos of themselves reading in all sorts of places and adventurous destinations. It’s important that our girls see staff reading for pleasure, that it’s not just something they themselves are encouraged or expected to do. This article illustrates those benefits that we recognise about how reading improves your knowledge, memory and imagination, builds confidence, self-esteem and skill sets, as well as provides great pleasure and improved mental wellbeing, among so many other things. Here at Nottingham Girls’ High School we have two libraries – one in the Junior School and one in the Senior School, and both get lots of use. Our girls love to pore over the contents of the shelves, not just for curriculum based literature but also for any exciting magazines, facts, biographies or fiction in their favourite genre. We have recently also introduced newspapers and comfortable, social, breakout spaces at the Senior School where our girls can spend their breaks and lunchtimes sitting on sofas and beanbags with newspapers and books. 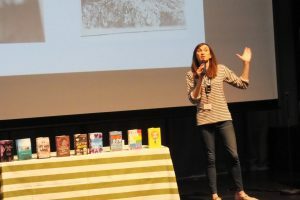 We host many visiting authors at the school including in recent years Rob Biddulph, Cathy Cassidy, Katie Dale, Irena Brignull and Juno Dawson to name but a few. 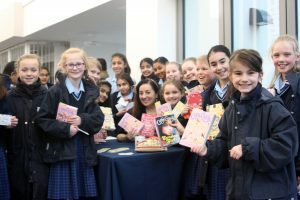 The girls are always mesmerised to hear about what influences them and how they started out, and there always follows the inevitable queue of girls eager to have their copies signed – it’s so encouraging to see them so interested, inspired and engaged. At the Junior School we recently welcomed poet Leanne Moden, and Georgina Wilding, who was the Young Poet Laureate for Nottingham in 2017/18. Both held an inspirational workshop with our Year 6 girls who ended the session with performances of their own poetry – and they were amazing. This proves one of the other benefits of reading – it inspires writing! Talking of which, our girls are always writing as part of their school work, and for pleasure of course, but our staff have also been known to put pen to paper (or fingers to keyboards) too. Among others, Miss Burns is an author for Psychology revision guides; Mr Macfarlane has written about the Cold War in Europe for an A-level History book; Dr Critchley has had articles published in The Ecologist and Chemistry Review and Miss Abbott has written for fishing magazines – what a diverse range of subjects! As well as these factual and informative pieces of writing, our staff have also published creative and fictional work. Many of you will already be aware of Mr Brown from the English Department and his wonderful children’s books and illustrations. Other members of staff have been published too. 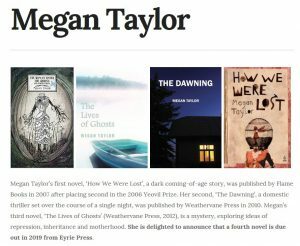 Mrs Dixon has had a couple of short stories published online; Mr Cox has won a local short story competition three times in a row; Miss Griffiths has had her own poetry published in local zine oneiroi and our library assistant, Ms Taylor, has published several books and also runs creative writing workshops. We’re blessed with such abundant talent and every one of these staff members is a role model for our girls who can learn a lot from them. Reading something written by a member of staff provides a certain curiosity and added interest. 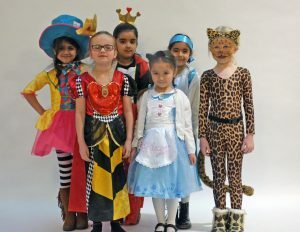 Imagination and creativity run wild here on World Book Day every year as the Junior School girls and staff dress up as their favourite characters, showing just what an influence their reading has had on them. Even in the Sixth Form as the girls celebrate their last day at school, they can often be seen dressed up as characters from books, depending on the theme of that particular year.